Improvements in therapy for pain management have the potential to b realized through the utilization of rapid action. Currently, the most effective pain management therapies achieving rapid action are those in a hospital or healthcareprofessional setting with the use of injections, which provide fast onset of relief. However, such settings are typically limited to emergency and/or surgery situations, which often require the patient to regulate pain therapies on his/her own after leaving the clinic. Furthermore, a major allotment of pain management is not the result of an extreme precipice (such as an accident), and the pain management required can be on a daily basis for indefinite periods of time. A survey based upon a random sample of 28,902 working Americans found that “[p]ain is an inordinately common and disabling condition in the US work-force. Most of the pain-related lost productive time occurs while employees are at work and is in the form of reduced performance.” Further conclusions derived from this survey found that $61.2 billion per year is lost due to pain conditions. The most common pain conditions resulting in lost productive time were headache, back pain, arthritis pain, and musculoskeletal pain.1 This survey, along with information regarding acute and chronic pain conditions, demonstrates that there is a great need for improved rapid action pain therapies. As a whole, the management of acute and chronic pain stemming from conditions such as migraine, cancer-induced breakthrough pain, neuropathic, postoperative, sports, and injury pain shows a great deal of room for improvement in terms of rapid action. As the approach to acute pain treatment underwent a significant evolution throughout the 90s, it was recognized that the effects of early control during episodes of pain on the subsequent evolution are of critical importance.2,3 Patients suffering acute pain have been shown to become increasingly more sensitive to painful stimulus the longer the pain is uncontrolled; in other words, patients feel more pain than normally expected after an initial period of untreated acute pain. There is even risk that this change in sensitivity can become permanent, which is reason enough to aggressively pursue relief of pain as soon as symptoms present.4 Furthermore, treatment at early onset of pain has been shown in some instances of shingles and amputation pain, respectively, to decrease subsequent pain, in turn reducing the need for further treatment. It is also notable that the prompt and complete relief of pain from migraine has been correlated with the reduction of migraine recurrence within 24 hours.3,4 The benefits of at-home, reliable, and fast-acting pain management options are undeniable, and advancements in pain therapies are necessary. Pain therapies need to be available and feasible for the average person; API, formulation, and manufacturing costs need to be minimal in order to keep the drug affordable for the consumer. Under typical day-to-day conditions, formulations need to be stable, which allow medications to be carried with a person, such as in a pocket or a purse. This would be especially useful in instances of cancer-induced breakthrough pain or migraine pain when onset can be swift and is mostly unpredictable. Self-administration and ease-of-use (non-invasive delivery) are other key elements to effective at-home therapeutic treatment. Treatments that can be administered on-the-go or in public places are desirable, and historically, this is one reason oral pill therapies have enjoyed much popularity. Delivery methods that offer a level of comfort during episodes of dry mouth or nausea are also desirable when pills are difficult; nasal delivery offers a good solution to this problem. The therapeutic effect needs to be reliable, which hinges heavily on the dependable and consistent performance of the paired delivery device. It is expected that if a product can meet these needs (availability, stable formulation, easy selfadministration, and reliability), that rapid action pain therapies can be a reality of athome care. Of the major alternative administration routes, a great amount of attention has come to nasal delivery. The nasal cavity has proven to be an effective route of administration for systemic delivery due to the high permeability of the nasal mucosa and great vascularization.5 Nasal delivery is also made desirable by ease of administration, which enables high patient compliance, along with avoidance of gastrointestinal (GI) and hepatic first-pass metabolism which further contributes to rapid action.5 Nasal delivery technologies are progressing, and attempts to mitigate the drawbacks of traditional nasal therapies, such a running liquids and use of locally irritating absorption enhancers, are being offered by several companies. SNBL, Ltd. is one such company, with the µcoTM System. 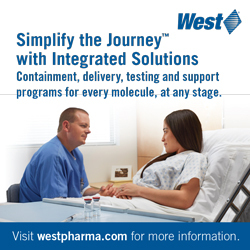 The system offers a dry-powder carrier technology and line of delivery devices that help formulations meet the aforementioned criteria for rapid action and successful delivery of pain therapies. CiBP illustrates why some pain therapeutics not only require rapid action, but simply cannot be treated effectively otherwise. A quintessential example, CiBP is an area of patient need that struggles to be met through the use of traditional delivery routes. Slow onset associated with oral medications often results in therapeuti action when pain has already crested (therapeutic onset around 30 minutes), proximately followed by 3 to 6 hours of unnecessary analgesia.6,7 Not to mention traditional oral medications are made further impractical by a patient’s decreased salivary flow, a common characteristic found in cancer patients. The inconvenience and patient discomfort with administering at-home injection medications make such therapies unattractive, and they are sometimes viewed as a last attempt at pain control. Compounding the need for better athome CiBP treatments is the industry-wide shift in healthcare demands as hospitals and patients struggle to balance costs with needs. Treatment has historically included supplemental doses of oral opioids in combination with an analgesic regimen for the maintenance of baseline pain. As previously stated, these oral opioids lack the rapid action necessary for treatment, with a resultant prolonged and unnecessary analgesia. However, in recent years, nonparenteral therapies enabling rapid action for CiBP have been explored with the use of fentanyl. It is clear that non-parenteral delivery can provide the rapid action necessary for the successful treatment of CiBP. Selfadministration and ease-of-use due to noninvasive delivery is key for CiBP therapies. 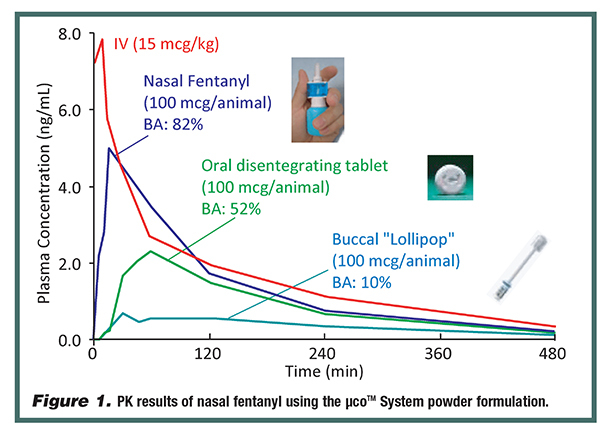 SNBL, using their predictive intranasal PK animal model and animal pain model, has developed and tested an intranasal fentanyl formulation with similar preclinical results as previously stated. This type of formulation goes one step further in achieving the parameters of rapid action as it utilizes the µco System’s dry powder formulation designed for greater stability, coupled with its reliable delivery device (Figure 1). Patient preferences in the treatment of migraines is critically important due to the necessity of patient compliance in administration, and surveys often report that patients are most comfortable with the oral route of delivery. Market research conducted by SNBL, Ltd., including interviews of multiple migraine treating and prescription-writing Primary Care Providers and Neurologists, showed that the majority of patients have greatest comfort with oral pill medications across all aspects of treatment. It should also be noted that physicians reported one major reason existing marketed nasal products were not preferred by patients was bad taste and nasal irritation. Despite patient preference, oral pill medications often do not yield fast onset of relief, which is counter to the needs of patients as studies have also shown that fast therapeutic onset is of utmost importance to migraineurs.9,10 Furthermore, it was revealed through physician interviews that one-third of the migraineurs treated were unable to accept oral treatment due to nausea and vomiting. As such, it is evident the needs of migraineurs are not being fully met, and alternative delivery routes, which enable rapid action therapies, have the ability to meet this need. Traditional therapy options for migraines prior to the discovery of 5-HT 1B/1D agonists included analgesics, ergotamine, and dihydroergotamine. However, a significant revolution in the treatment of migraine pain came with the class of 5-HT1B/1D agonists, commonly known as triptans. Sumatriptan was the first to be used, and second generation triptan’s, such as rizatriptain, zolmitriptan, and naratriptan, have also been found to be effective in migraine treatment. Studies conducted following the introduction of triptans found that the leading factor in patient satisfaction with triptan therapies during migraine was rapid therapeutic onset. 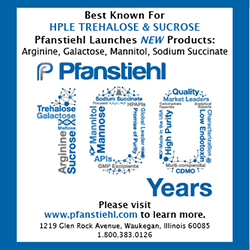 So consequential was the time to relief that some patients have been reported as choosing a subcutaneous injection over traditional oral pill therapies for the purpose of fast relief.9 Advancements in delivery of triptans for the purpose of decreasing time to relief have come to market. Products such as liquid nasal sprays of sumatriptan and zolmitriptan, respectively, have found some market share, and it has been reported that some patients experience relief in as little as 15 minutes, with 55% to 64% of patients reporting noto- mild pain at 2 hours post-administration of said nasal therapies (it should be noted, however, that such nasal products continue to receive fewer prescriptions due to patient preferences discussed in the prior section).9 However, the pharmacokinetics of nasally delivered liquid products suggest that much of the formulation runs out of the nasal cavity and is absorbed by the GI, a common characteristic of traditional nasal liquid sprays, which also accounts for the bad taste often cited by patients. The initial therapeutic onset can be attributed to limited absorption in the nasal cavity with the remaining analgesic effect taking place after GI absorption. While treatment for migraine has made great strides with the use of 5-HT 1B/1D agonists, there is still ample room for improvements relating to rapid action. 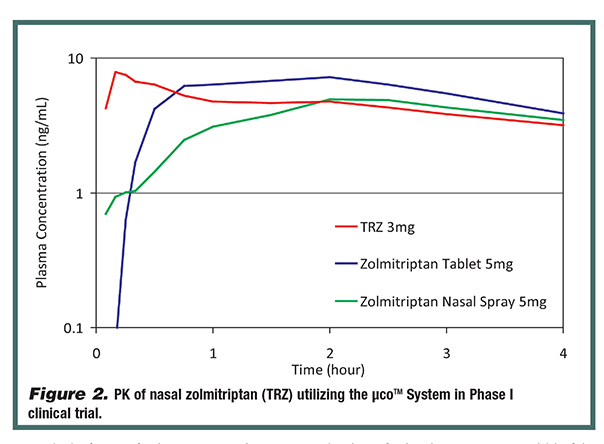 SNBL has developed an intranasal zolmitripan (TRZ) formulation, which is designed for rapid action utilizing the µco System’s dry powder formulation and reliable delivery device (Figure 2). Thus far, TRZ in a Phase I clinical trial has shown rapid absorption as shown in Figure 2. Pain has a major diminishing effect on quality of life and productivity, from episodes of acute pain to chronic, longlasting conditions. In the past 2 decades, findings that rapid action in pain therapies help to avoid CNS wind-up has resulted in a paradigm shift in pain management. Furthermore, rapid action pain therapies better address the needs of patients especially in regard to conditions such as CiBP and migraine pain. Alternate routes of delivery, specifically delivery to the nasal cavity, have shown a great propensity for success in rapid action onset. The µco System by SNBL is one such delivery system that has shown preclinical and clinical success in rapid action thanks to a dry powder carrier formulation and reliable delivery devices. Alternate route delivery systems such as the µco System are promising in the future of pain therapies and management. Outside of the treatment of acute and chronic pain, there are many therapeutic areas that could benefit greatly from rapid action treatments. Treatments for life threatening conditions, such as seizure, including subarachnoid hemorrhage, and heart attack, would see obvious benefits from rapid action therapies. Other less dire conditions that could reap the discussed benefits are patients being treated for sexual conditions, such as erectile dysfunction and anorgasmia. Patients seeking sleep-induction therapies, sedatives, and/or anxiolytics also have the potential to receive better results with the use of nasal delivery enabling rapid action. 1. Stewart W, et al. Lost productive time and cost due to common pain conditions in the US workforce. JAMA. 2003;290(18):2443-2454. 2. Carr D, Goudas L. Acute pain. The Lancet. 1999;353:2051-2058. 3. Antonaci F, et al. Meeting patient expectations in migraine treatment: what are the key endpoints? J Headache Pain. 2008;9:207-213. 4. Ducharme J. Acute pain and pain control: state of the art. Annals Emerg Med. 2000;35(6):592-603. 5. Grassin-Delyle S, et al. Intranasal drug delivery: an efficient and non-invasive route for systemic administration. Pharmacol Therapeut. 2012;134:366- 379. 6. Leppert W. Role of intranasal fentanyl in breakthrough pain management in cancer patients. Cancer Manage Res. 2010;2:225-232. 7. Mercadante S. Managing breakthrough pain. Curr Pain Headache Rep. 2011;15:244-249. 8. Menken M. The global burden of disease study. Arch Neurol. 2000;57:418-420. 9. 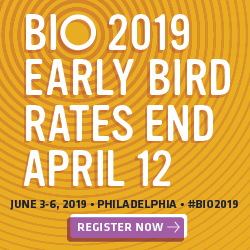 Ryan Jr. R. Patient treatment preferences and the 5HT1B/1D agonists. Arch Intern Med. 2001;161:2545-2553. 10. Worthington I. Delivery systems for acute migraine medications. Can Fam Phys. 2001;47:322-329. Dr. Haruta is an Executive Officer at SNBL, Ltd. and the General Manager of NDS Division, with focus on the R&D of the µcoTM System. Dr. Haruta has been with the µco System since its inception over 10 years ago and continues to oversee the R&D and business operations relating to it. Dr. Haruta earned his PhD in Pharmaceutical Science from Okayama University, Japan. His scientific background includes pharmaceutics and specializes in drug mucosal absorption, formulation technology with mucoadhesive and controlled release, and the effect of gastrointestinal transition on drug absorption and pharmacokinetics. He formerly worked as a clinical pharmacist and researched drug absorption at Miyazaki Medical College Hospital, Japan.